When stealth is a growers biggest concern, fluorescent grow lights are the undisputed king. They make very little heat compared to HID(High Intensity Discharge) lights and LEDs, they tend to make a smaller impact on your electric bill, and they are much cheaper to get started with. They’re also very beginner friendly since they don’t require the purchase of secondary parts (such as an exhaust fan) in many cases and can be setup easily. I actually hooked up my first fluorescent lights with nylon rope I had lying around! There are two types of frequently used fluorescent lights struggling for superiority, each with their own benefits: they are the T5 fluorescent light, and the CFL (Compact Fluorescent Lamp). Today, you’ll get the rundown on what’s better about each one which will hopefully help you make a decision should the need arise. The designation T5 comes from two attributes about the bulb: it’s Tubular and it has a 5/8” diameter. T5s usually come in an array of bulbs that arranged parallel to each other in a panel like the one shown to the right. The total amount of light provided by a T5 fixture can vary greatly since there are many different T5 setups, but it can be easily calculated. Just take the total number of bulbs in the panel (usually between 4-8 tubes) and multiply that by the lumen output of each of your bulbs. Using T5s requires having a fixture to place the bulbs in, and will need to be hung in a similar fashion to a MH/HPS light. However, T5s run extremely cool and can be kept only a few inches away from your plants without causing harm. 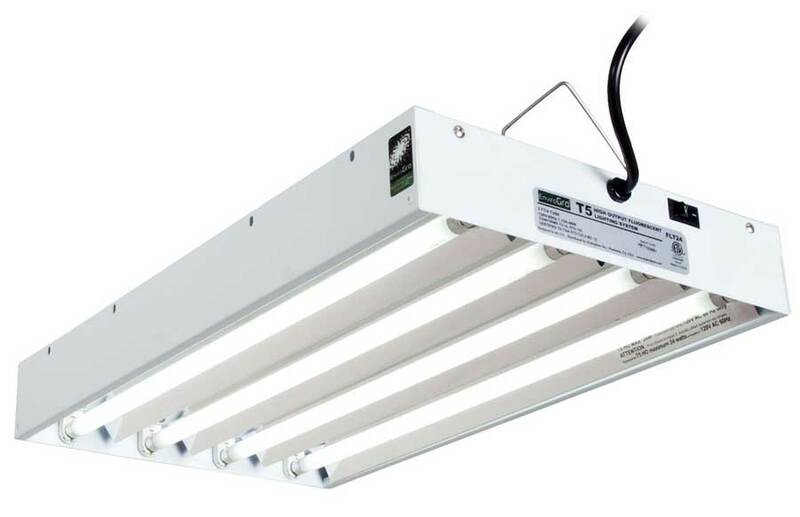 As stated above, T5s run very cool and as such, they can be kept closer to your plants. In fact, they should be kept far closer to your plants than with non-fluorescent lights to maximize on their power. Since T5s can be kept so close to the plants, this means that growers can use smaller tents than they typically would with an HPS. T5s have a low impact on your energy bill compared to HID lighting. Possible to grow without exhausting heat which opens up growing spaces unavailable to HIDs. Not as much power as HIDs, so yields will naturally be lower. Growers might have to check on them more often since they are kept closer to plants and have less buffer room. CFLs can be placed into a reflector, but T5s are meant for growing and tend to be easier to use and adjust. Generally, moving a single T5 panel higher takes only seconds when it’s hung with rope ratchets. In fact, T5s take less effort to set up and maintain in general. More efficient use of energy than CFLs (albeit marginally). 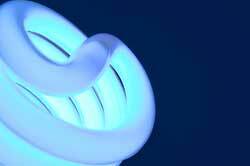 Compact Fluorescent Lamps are the ‘twisty’ bulbs that are replacing the old incandescent bulbs in our homes. They come in an array of colors and strengths with some CFL bulbs having wattage rivaling that of a small HID light. 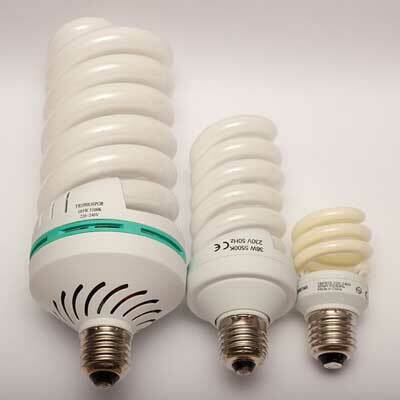 You could easily find a CFL bulb with as little as 12 watts or as much as 125, and both would work for growing. CFLs use your typical light socket, which can be both a blessing and a curse. One of the main things to keep in mind when attempting to get started with CFLs is that you will need a separate socket for each bulb. If you’re not using a panel, these lights will all need to be arranged separately. CFLs are abundant! You can get them at Home Depot, Wal-Mart, Lowes, Target, and even some grocery stores just to name a few. CFLs are a typical household item, so buying/transporting them doesn’t arouse nearly as much suspicion. Due to their shape and size, they can be placed in interesting ways to deliver light to parts of the plant that are typically shaded. 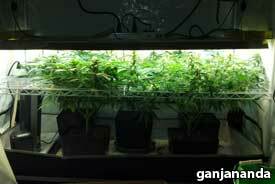 (below 60 watts) can be kept as close as a few inches from your plants. May be the best grow light for stealth. They can fit in smaller spaces than any other type of grow light. 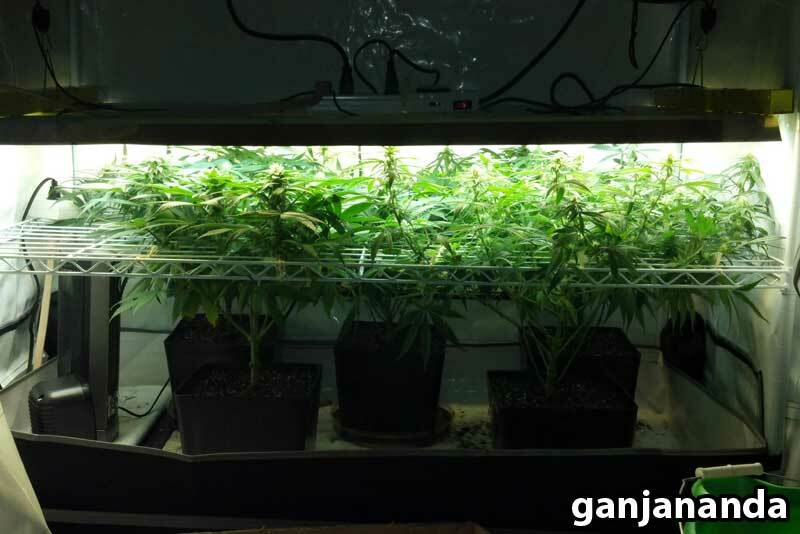 I've even seen a grower use CFLs to grow cannabis in a large PC case! Not nearly as much light as an HPS; the difference between the two is very noticeable to say the least, so yields are lower. If not using a panel, a socket will need to be provided for each bulb. This can get tricky when the bulb count starts getting high. You have to adjust every bulb to be right near the plant for the best results, and you will have to readjust all those bulbs regularly to make sure they are close but not burning plants. 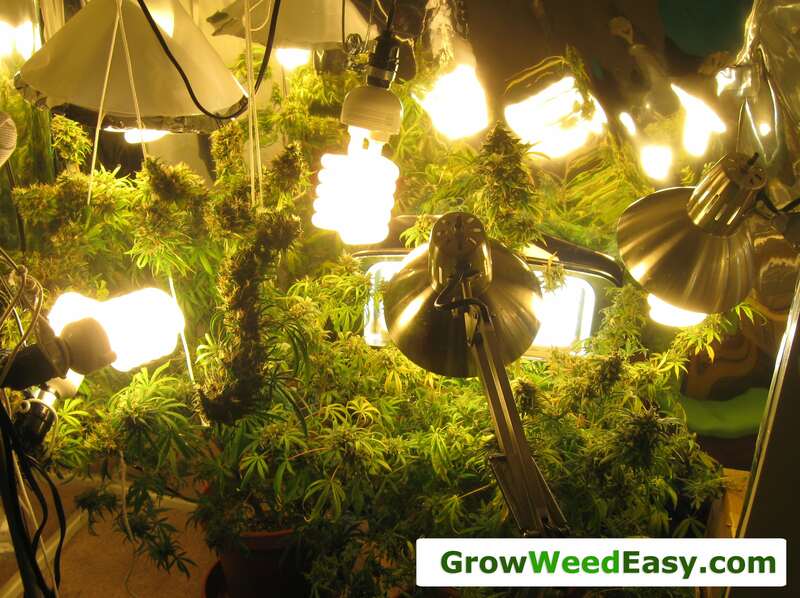 This can get a bit time consuming in cases where the grower has 6+ bulbs and is adjusting them daily. Before I potentially start an incident, let me give you the honest-but-not-as-gratifying answer: Each one is better for different setups! T5s are great if you have the width and want to hang up and go. 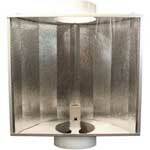 CFLs are at their best in small spaces that no other grow light will fit into. 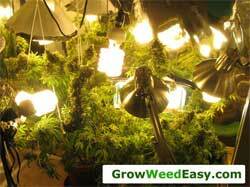 You can usually go to any strip mall with a home improvement store and get everything you need to grow with CFLs or T5s besides cannabis seeds. This is good for the initial setup, but it’s also great for times when you break a single piece of your setup and need to replace something quickly. If you have some pics showing off your growing prowess with fluorescent lights, send them to us if you want to get them published! Ready to try your hand at fluorescent lights? Or maybe you’re new to growing cannabis in general? Either way, get started today; your future self will thank you! MH/HPS combos for when you need more power! Should I get a regular or autoflowering strain if I want short plants?